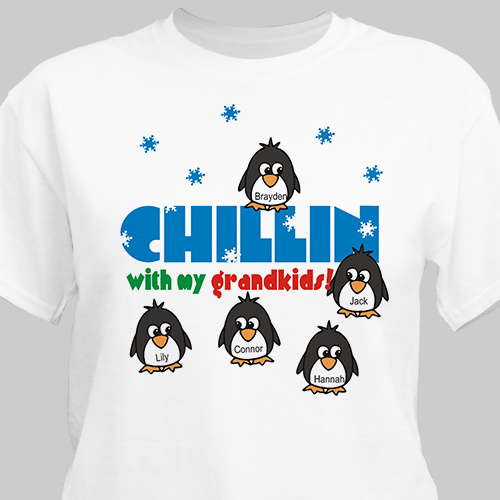 Our Chillin' Penguins Winter Personalized T-Shirts are Available on our premium white 100% cotton T-Shirt, machine washable in adult sizes S-3XL. Every Personalized Shirt Includes FREE Personalization! Personalized with any title and up to 30 Names. The turn around is amazing received the item is less then a week. I love that you can customize the shirt, this is what makes it special as a gift.